Watch: Rabbi of Frankfurt relates to German election results. 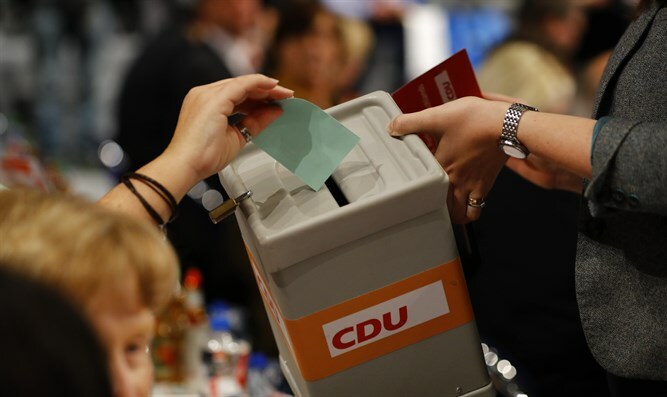 Rabbi Avichai Apel, the Chief Rabbi of Frankfurt and a senior member of the Conference of European Rabbis, spoke to Arutz Sheva about the results of the election in Germany. “It happened yesterday,” he continued, referring to the achievements of the far-right Alternative for Germany (AfD) party. Rabbi Apel also responded to the comments by AfD deputy chairman Alexander Gauland, who earlier on Monday said that Jews should not fear the strong election showing by AfD.